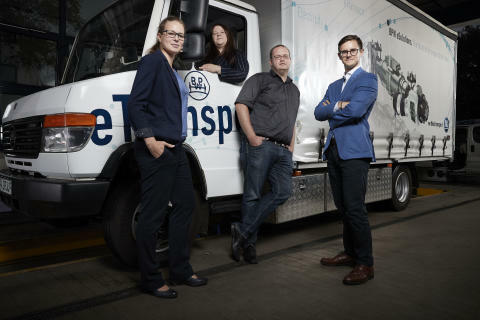 Members of the BPW eTransport team (from left to right: Katja Boecker, Francisca Magyar, Frank Löhe and Josha Kneiber), whose electric drive concept proved compelling for the Energy Awards jury. 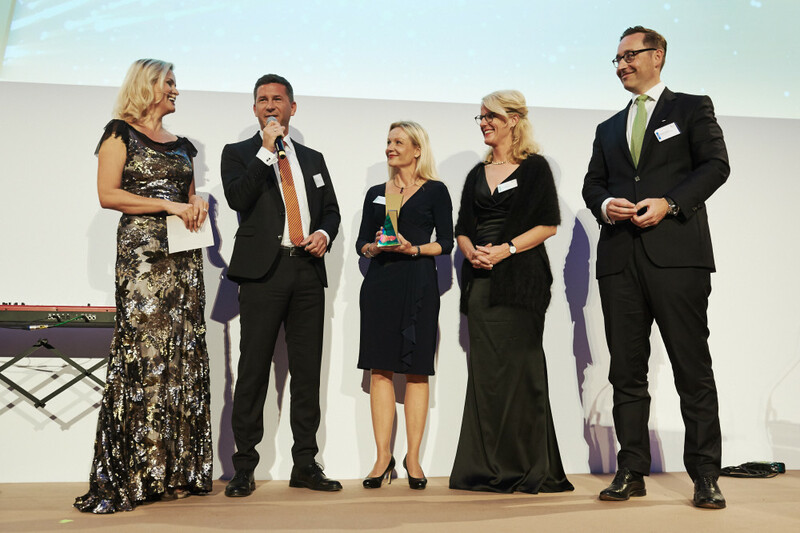 Wiehl, 04.10.2017 --- eTransport, the electric axle drive developed by BPW, has grabbed first prize for mobility in the finals of the Energy Awards. The accolade recognises the drive as one of the most innovative ideas in the drive towards renewable energy sources. 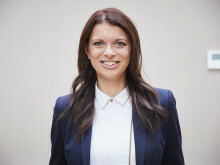 The Energy Awards serve the purpose of highlighting progress and changes being made in the sector, and acknowledging outstanding projects and ideas. 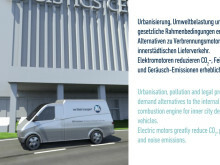 The eTransport concept has been developed as an electric axle drive for delivery vehicles operating in city centres, but could also be used in the heavier commercial segment. 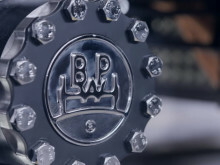 The system, comprising an axle, electric drive and energy accumulator, can be integrated in a wide variety of vehicle models and is no heavier than conventional drives. The drive is emission-free and recovers braking energy. Active steering assistance ensures especially good manoeuvrability, which makes eTransport an interesting proposition for the final delivery stage in particular. Charging can take place overnight within a few hours and is sufficient for a good day’s driving in an inner-city goods distribution environment. The Energy Awards is an annual competition for outstanding candidates in five categories, namely industry, mobility, smart infrastructure, start-ups, and private and municipal utilities. Prizes are awarded to projects, concepts and ideas that optimise the use of renewables and thus increase energy efficiency and reduce consumption. A special award is also presented to a leading light in the industry, who is named Energizer of the Year. 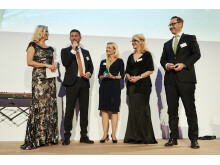 The Energy Awards were initiated by the business daily Handelsblatt and the US industrial conglomerate GE. They are seeking to put forward-looking and innovative energy concepts in the public arena, where they belong. The jury consists of leading representatives of the energy and media sectors, as well as prominent politicians. They are all members of the Energy Academy – a think tank that deliberates on the key issues and challenges facing the industry.